Yesterday I discovered batch tagging in Zotero. 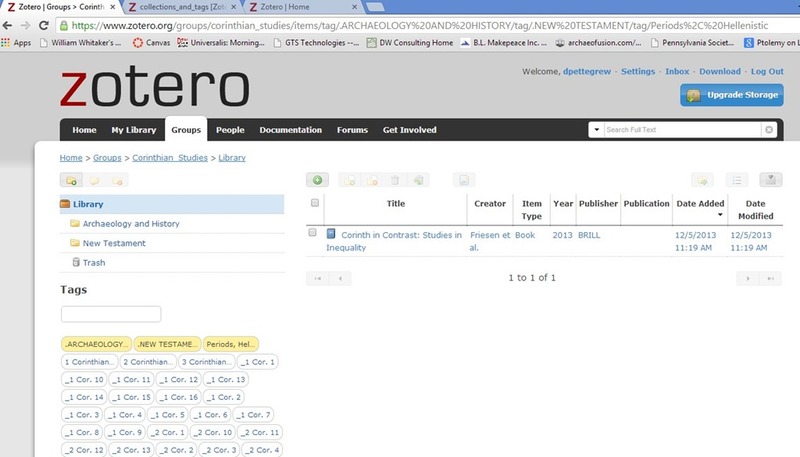 Instead of manually changing tags one at a time (an incredibly time-consuming process), one can batch tag by dragging a selection of multiple items onto any tag in the tag selector box in the Standalone version of Zotero. This feature effectively allowed me to tackle the tags in the library. 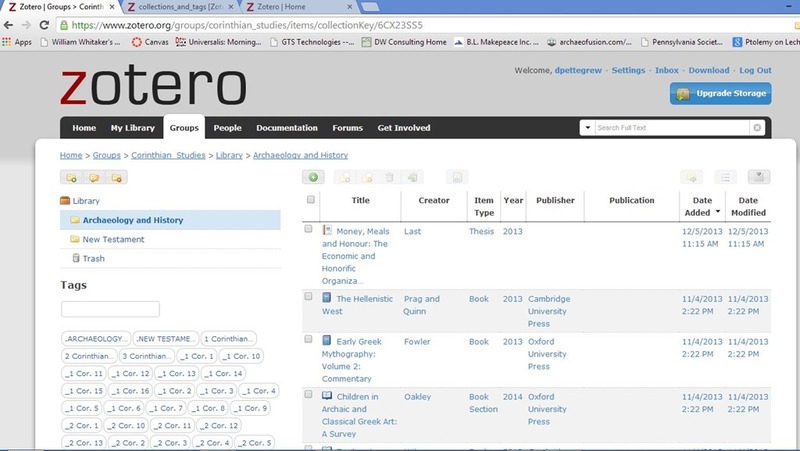 I recategorize all 1,927 items in the Corinthia (Zotero) Bibliography Library in a couple of hours. Manually tagging those items would take days. 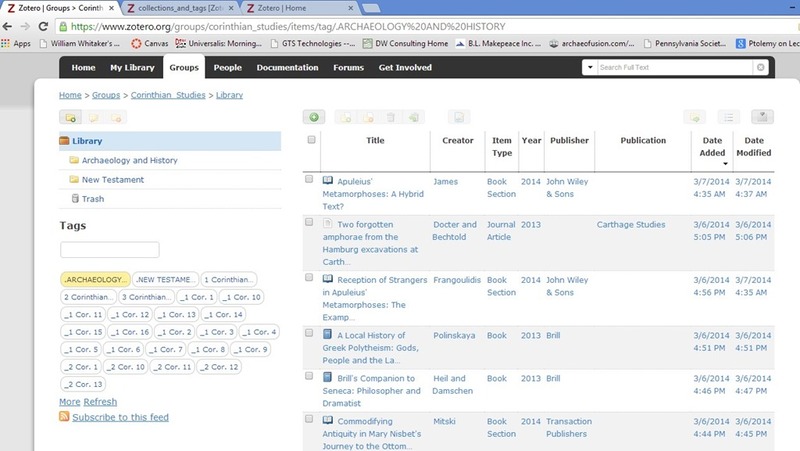 I’ve also slid created subfolders for browsing called “New Testament” and “Archaeology and History” for two principal audiences of Corinthian studies. Whether one browses by main tag category or by folder, the results should be the same. Note that all 1,927 individual bibliographic items can be found in the master Library folder. An item in the sub-folder collections also exists in the master folder. NB: At the time of this update, the items are still in need of a more thorough tagging, and this will require some manual input. Where I have added tags are for main places in the Corinthia: “Corinth”, “Corinthia” (for territory), “Kenchreai”, “Lechaion”, “Isthmus of Corinth” and “Isthmia”. I’ve also added periods for many (but not all) items, e.g., “Period, Roman.” These period tags parallel the chronological designations used on this website. For now, the visitor using the server version of the library (and not the stand-alone) should experiment with a combination of direct searches in the search box, tagging, and browsing by subfolder. One area other that I spent cleaning up this morning was the section on New Testament studies. I’ll write more about this tomorrow.